I just heard the best-sounding SACD player that ever graced my humble home system recently. 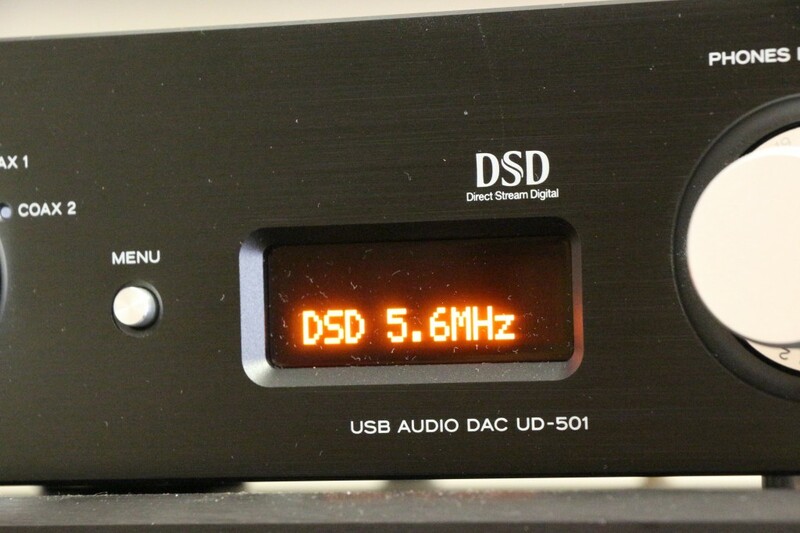 It was also the best-sounding CD player and one of the best DACs I have tested. I am referring to the dCS Puccini SACD/CD player. After having it in my system for about five days, I realised what was missing after I had returned the unit. The dCS recreates a most natural sound that is full-bodied and rich with harmonics and correct timbres. Leading-edge dynamics were accurately rendered with the right amount of snap and sizzle while decays were sustained and lifelike. While acoustic instruments benefit the most from this, electric instruments are not left out and their timbres and tones are rendered realistically too. I felt the reproduction of the piano by the dCS was the best that I have heard with all the woodiness adding much body to the sound. Spatially, the soundstage size and positioning of the images with lots of space between the musicians and singers reminded me of the walk-through sound-staging of the Wadia CD players, but the dCS rendered a fuller and richer sound. The sound-stage also went deeper and there was great layering of images. The dCS sounded smooth and grainless and not once did I detect any hardening of the sound even on vocal peaks, brass instruments and electric guitars. Turn on the player and you will see this. 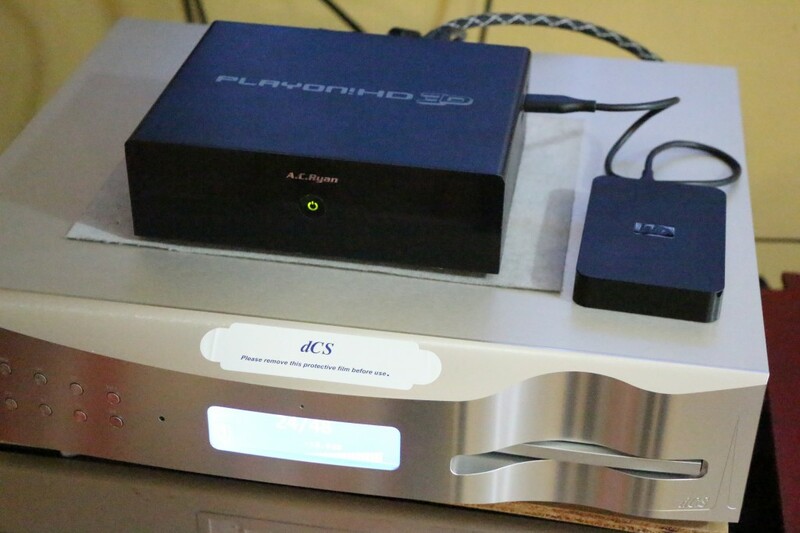 The AC Ryan media streamer and 500GB external hard disk on top of the dCS Puccini SACD/CD player. 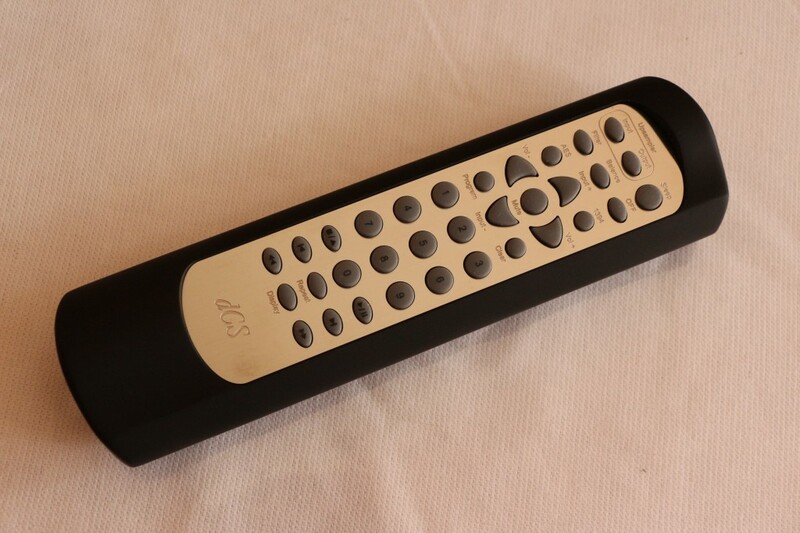 The remote control has rather small buttons. The connectors at the rear panel are quite close to each other. Though the sound was rich and full, the details were not drowned out by the richness. When I played a hi-res file of The Girl From Ipanema, the saxophone sounded so realistic that I could hear the reed vibrating. On SACD tracks like Pray It Never Happens by Maeve, Everything I’ve Got Belongs To You by Claire Martin and Stars Fell On Alabama by Carol Kidd (from Linn Records The Super Audio Collection Vol 4), I heard details I had never heard before in my home system. 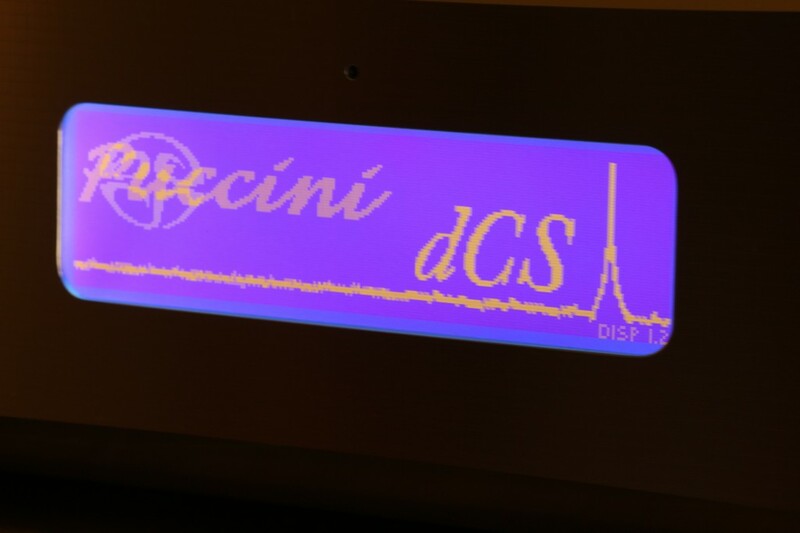 At this juncture, I must say that I have heard excellent SACD players elsewhere like the Esoteric and Playback Design in friends’ houses and the TAD in AV Designs’ showroom, but in my home system, the dCS Puccini was the best. In the few days that I had the dCS in my system, I played it directly connected to the Bryston 4B SST power amp with Oyaide XLR interconnects. 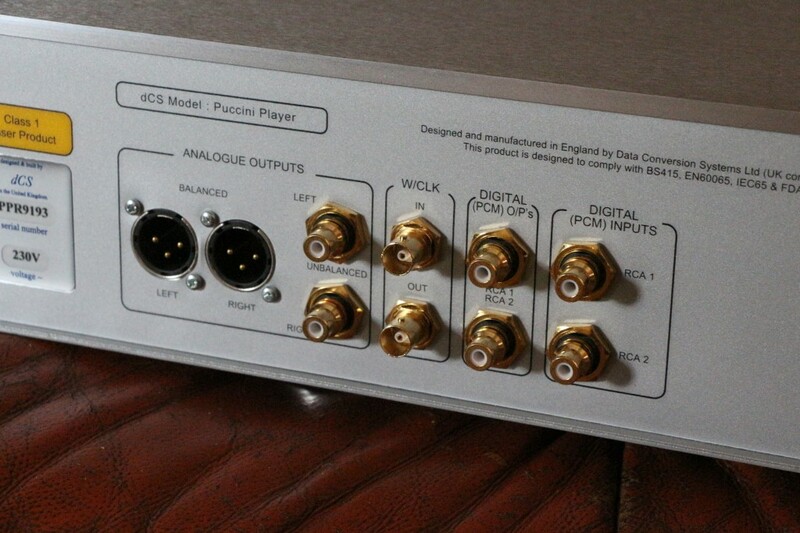 Many people have noted that this is the best way to connect a dCS and its digital volume control outperforms some quite expensive preamps. Its output can be adjusted from the default 2V to 6V and unbeknownst to me, someone had set it to 6V and I spent the entire session listening to the dCS at this level. However, later at an audiophile friend”s house, I felt that the 6V output sounded better than the 2V when both outputs were tested. During Christmas, I picked up an AC Ryan media streamer and I quickly connected my 500GB Western Digital external hard disk to it. The media streamer was connected to the dCS Puccini with a DH Labs D-75 coax and within minutes of figuring how to negotiate the menu (which was displayed on the plasma TV connected via HDMI cable to the streamer), I was soon listening to ripped CD files and hi-res music of various sampling rates. 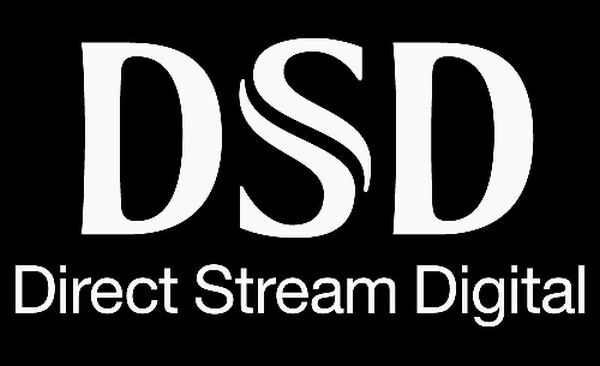 I am not sure if this matters at all since the dCS converts all files of all native resolutions into 5 bit 2.822 MHz or 3.072MS/s DSD files to be processed by the proprietary Ring DAC. It is this proprietary conversion system that gives the dCS its signature sound. 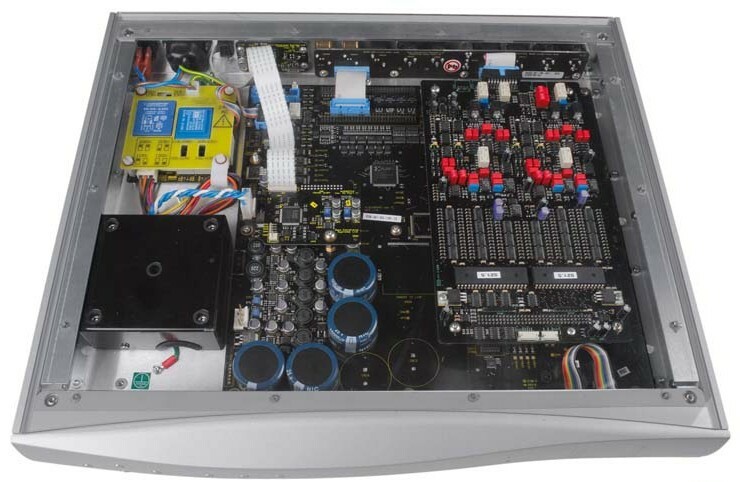 The Puccini is designed to be a single-box heart of a digital-based sound system. The SACD/CD transport is a TEAC Esoteric UMK-5 mechanism which is disabled when the Puccini is used as an external DAC. It has two SPDIF inputs for media streamers and other sources. To take its already high performance even higher, you can buy the matching Puccini U-Clock which features four Word Clock outputs that reduce jitter and improve performance. It also has an asynchronous USB input which allows a laptop to be used for streaming music and this input supports hi-res PCM files up to 24/192 and DSD files on DOP (DSD over PCM). People who have used the U-Clock say the sound quality does go one notch higher. The Puccini is a solidly-built player with fine workmanship and weighs quite a bit too. For the money you are paying for it – at around RM70,000 – it had better be well built and sound good. 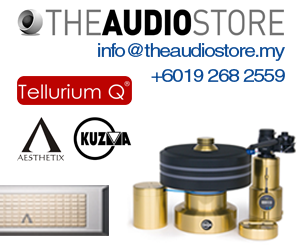 dCS products are distributed in Malaysia by A & L Audio Station. 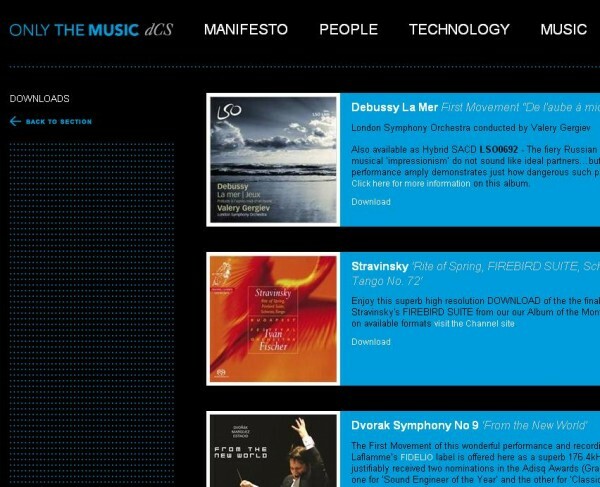 Bro, off course a RM70,000 SACD player should sound good lah. What about reviewing CD players for an average malaysian JOE? An Average Joe that earns an average monthly malaysian pay? You know the normal distribution curve? we are the average Joe that is under the BUMP of that distribution curve and not at the beginning or the tail end? you guys have reviewing equipment that is way above the buying power of the average malaysia JOE, so to US (the average Malaysian JOE), this kind of review makes no sense as why read and why bother with what we can’t afford? Please don’t say, you are just showing what TECHNOLOGY can achieve, we know what it can achieve, we (the avg malaysia joe) just can’t afford it only!!!!! Unless off course, your target audience is not the majority rather the elitist of the HIFI community which only looks at reference material from LAMM, Audio Research, Wilson, TAD, Accuphase etc etc. As my papa taught me…cheap got good cheap food, expensive also got expensive good food, but cheap is not always good and expensive also not always good….whatcha wanna eat today? So what about US (the average Malaysian JOE) – the poor wannabe HIFI buffs? I am so “sien” with all this so expensive Hifi equipment that I can never afford……so what about it? Get real can?